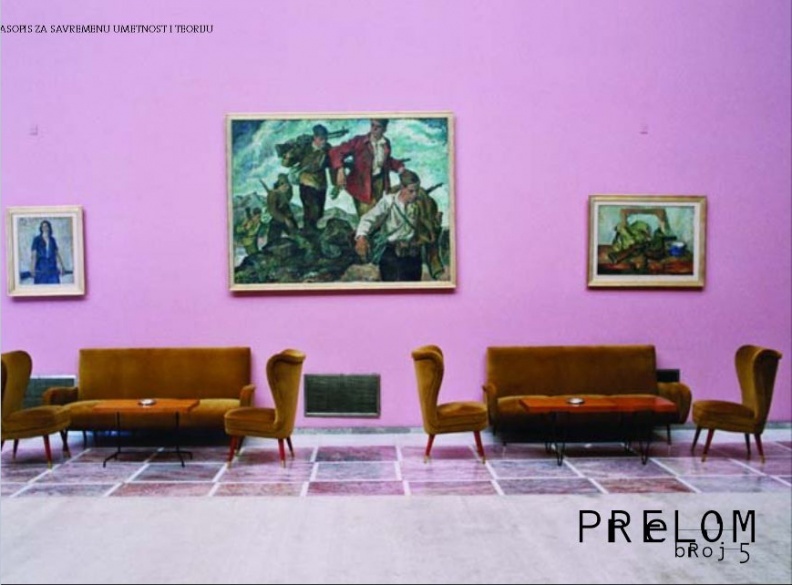 Written in 2007 by Prelom kolektiv [Break collective] members Dušan Grlja and Jelena Vesić, “The Neoliberal Institution of Culture and the Critique of Culturalization” offers insight into the politicized art landscape of the former Yugoslavian region. Prelom, a Belgrade-based research and publishing group, contributed to tranzit’s “Parallel Chronologies”. “Parallel Chronologies,” an exhibition archive created to foster a common knowledge and discourse around the history of various curatorial and artistic practices within Eastern Europe, is currently on view at the Museum as part of tranzit’s exhibition “Report on the Construction of a Spaceship Module,” through April 13. 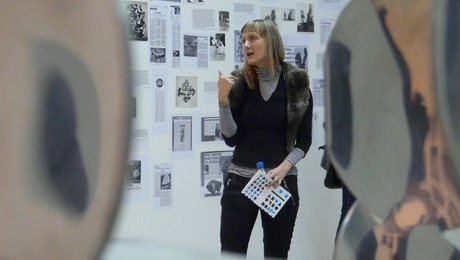 I first met Vesić when she came to New York to present her research on the relationship between late capitalism and post-socialism as part of tranzit’s “Futures of Eastern Europe” conference in January. In researching the history of the collective, I came across this text that had originally been presented in 2007 at the European Institute for Progressive Cultural Policy (eipcp) conference “The Post-Yugoslavian Condition of Institutional Critique.” The essay stood out for its analysis of how an ideologically oriented collective might maintain a critical stance while engaging with cultural institutions that could be seen as implicated in the neoliberal climate of “culturalization.” Part of a larger strand of inquiry, Six Degrees will be elucidating how organizations and groups can operate in service of their missions, and the essay resonates with a piece published last year by Victor Albarracín on El Bodegón. By examining the political situation Prelom operated under, the collective sought ways to break with existing structures by moving toward the constitution of a new framework for politics and culture. 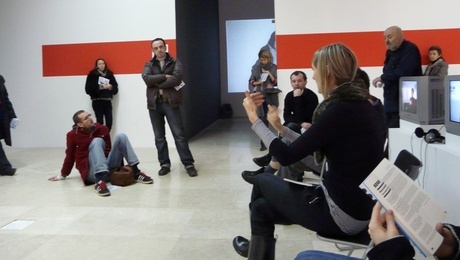 In rethinking Prelom’s mission, course, and legacy through this coauthored text, Grlja and Vesić reflected more broadly on the rise of neoliberalism by employing a critical analysis that problematized and articulated sociopolitical issues and their impact on culture and the contemporary art scene. Prelom Journal for Images and Politics was initiated in 2001 as a publication associated with the Center for Contemporary Art, Belgrade, and later took on the form of a discussion forum that aimed to critically think about the interactive relationship between theory, art, and politics in the broader social field. Presenting texts decoding the production of contemporary culture and art against the backdrop of the political conditions at the time, the activities that occured beyond the magazine ranged from exhibitions of research materials, to workshops, to conferences on twentieth-century political-economic systems. 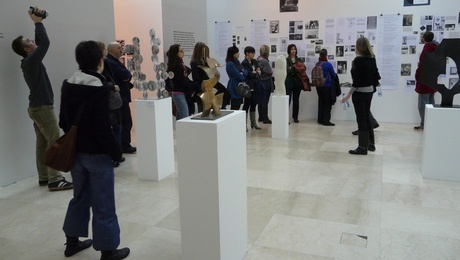 Comprised of art historians, curators, sociologists, and political theorists from Ljubljana to Sarajevo, Prelom’s core members included: Zorana Dojić, Andrej Dolinka, Dušan Grlja, Radmila Joksimović, Slobodan Karamanić, Dragana Kitanović, Vesna Madžoski, Vladimir Marković, Siniša Mitrović, Ana Nikitović, Ozren Pupovac, Milan Rakita, and Jelena Vesić. First edited by Aileen Derieg for publication in 2007 on eipcpc.net, a version of this text was later published in Chto delat’s What Is to Be Done? (a bilingual newspaper in English and Russian). In 2009, text was published in Serbo-Croatian in Prelom: Journal for Images and Politics. We intend to address some of the problems of the post-Yugoslavian condition of institutional critique from the standpoint of the theory and practice of the Prelom kolektiv. Our argument is oriented toward a materialist account of the institution of culture today and the related material practices of cultural production, as well as toward the possibilities of a materialist critique within the existing neoliberal constellation. The activities of Prelom kolektiv encompass the making and editing of Prelom—a journal for images and politics—and also organizing exhibitions, conferences, and discussions, as well as participating in other artistic and cultural projects and events. In a terminology often used today, this makes us cultural workers, cultural producers, or even so-called content providers for the expanding cultural industries in the region now called the Western Balkans,1 but also within the context of the European Union. Although we resist, oppose, and fight against this kind of positioning and the whole constellation that produces it, this is precisely the starting point for an objective, i.e., materialist, understanding of what the institution of culture2 is today. There is certainly an institution of culture that is strategically present and operative in the contemporary post-Yugoslavian condition. It is an intricate field of so-called cultural practices incorporated into the political mechanisms of contemporary peripheral capitalism. We hold that posing the questions of how the neoliberal constellation influences (transforms, enhances or blocks, directs or twists) cultural practices cannot do without taking into account one’s own immediate role within this sphere of culture—no matter how overtly critical the “actors” are of its structure and functioning. The term “culture” has boundlessly expanded over the past thirty years to encompass each and every symbolic activity. This hypertrophy stems from the abolishment of high/low, elitist/popular, official/marginal, or mainstream/alternative oppositions, which represented dichotomies that were functional in maintaining post–World War II political arrangements. What is known today as the “democratization of culture” is only superficially about everyone’s participation in activities previously reserved for the elites. The democratization of culture claims that it seeks to promote and realize the vaunted values of equity, access, participation, and human rights.3 In fact, however, the incorporation of the “third sector” (nongovernmental and nonprofit organizations) in the distribution of shrunken welfare-state services is a trend that has been under way for some time. This nonprofit sector of nongovernmental organizations and associations with charitable status currently represents a prospective market for the so-called creators of culture. The third sector is supposed to play the role of catalyst for the process of replacing the retreating “second sector” (the state) and fostering the growth of the still insufficiently developed “first sector” (the market). It is a process that has its own definite, economic, and therefore political logic. Recent decades have also witnessed an obvious neoliberal effort to subdue “culture” to the mechanisms of the free-market economy in the sense of the culturalization of the economy or, conversely, the economization of culture. The principles of free-market competitiveness and entrepreneurship have been introduced to the once privileged sphere of artistic and intellectual production. This means not only simply bringing market relations into the sphere of culture, but also establishing the practices of entrepreneurship at the individual level—at the level of the subject. The cultural sector is characterized by a high proportion of freelancers and very small companies or free associations, collectives, and working groups. A new type of (self-) employer is emerging in the form of the “entrepreneurial individual” or the “entrepreneurial cultural worker,” which no longer fits into previously typical patterns of full-time professions. What is actually happening is that individuals, educated or self-educated in the fields of art, theory, and culture, generally have a certain privileged access to so-called cultural capital—a set of symbols, images, notions, ideas, representations of historical events and persons, artworks, etc.4 The cultural worker today has to be a cultural entrepreneur at the same time: one who “creatively”—meaning profitably—uses the cultural capital that is at hand. In other words, the cultural producer is supposed to be a “funky businessman” in contemporary “karaoke capitalism,”5 transforming the raw material of “culture” into little more than temporary entertainment. This notion of culture as a certain savoir-faire is what grounds our basic premise on the nature of institutions—a materialist thesis on what an institution is. An institution is more than a particular building populated by an administration and upheld by a hierarchy of positions with a top-down structure of decisions; it is institutionalized—power-structured and socially sanctioned—behavior or conduct. It is an everyday material practice whereby ideological constructs confront their field of operative functioning. For example, the state is not just an intricate network of repressive and ideological apparatuses, but rather represents a material reality created and re-created by the rituals and the conduct of the individuals in their everyday practices. It is precisely this kind of material practice that is constitutive of the contemporary neoliberal institution of culture that Prelom seeks to criticize, oppose, and change. Culture, in the contemporary post-Yugoslavian condition, certainly shares the aforementioned general traits of neoliberal capitalism, but it also possesses some specificities formative to the context in which we are working. In the post-conflictual region of the Western Balkans, art and culture are supposed to play the role of reconciling the opposing sides, with the clear task of enabling the peaceful coexistence of differences (religious, ethnic, cultural, etc.). They culturalize us in order to renounce the non-civic or, simply, uncivilized ways of solving conflicts by adopting the nonviolent, symbolic mechanisms that the cultural field supposedly offers. In short, culture has to ensure that tolerance for the Other is respected, while the pressing problems of poverty and unemployment, the dismantling of all social security networks, shameless gang-style privatization, waste of natural resources, as well as the control of politics by tycoons remain hidden behind this screen of folklore or multiculturalism. Therefore, culturalization has an important function within today’s neoliberal capitalist system: the function of the pacification and neutralization of contemporary social antagonisms. It is precisely this culturalization—whether it is folkloristic or democratic—that is the main target of Prelom. In that sense, the collective can be seen as an effort to de-culturalize those political issues out of their culturalized form. In other words, we are trying to re-politicize them, although not in the sense of poststructuralist relational theories or the radical-democratic leftist discourses such as Laclaudian post-Marxism or the omnipresent “multitudism.” What we are collectively striving for is a re-politicization in the sense of a certain and definite partisanship in theory and in practice that aims for an effective materialist critique. This critique is dedicated to showing and revealing how politics always-already functions within culture, art, and theory. It is dedicated to finding out how this presence of politics could be directed in a way that opposes its usage by the capitalist system. It represents a struggle to debunk, expose, and also oppose, resist, and fight against the dominant anticommunist consensus that unifies such apparently different positions as ethno-nationalism and neoliberalism, religious exclusivism and the struggle for human rights, re-traditionalization and the pro-European culture of democracy, and the nation-state building politics of identity and multi- or trans-culturalism. Although Prelom looks like a standard independent art and theory magazine, stylishly designed, illustrated with contemporary art from the “region,” and spiced up with a sort of leftist discourse, even just a quick perusal reveals words and images that bring into play something that is really completely different. Over the last seven years, Prelom has established itself as a space for the critique of political constellations within sociocultural theory and political philosophy, within the contemporary visual arts, as well as in cinema and film theory in the post-Yugoslavian cultural space. Even though Prelom has its center in Belgrade, it is a Yugoslavian publication—with collaborators from Ljubljana, Zagreb, Novi Sad (Serbia), Sarajevo, Prishtine (Kosovo), and Skopje (Macedonia)—and represents a collective effort to problematize, theorize, and fight against various heterogeneous and paradoxical forms of contemporary peripheral neoliberal capitalism. Words like Yugoslavia, partisans, Socialism, Marxism, Communism, etc., invoke something that is, for a specific reason, considered scandalous nowadays; actually, it is taboo, even though it could be seen as a mere prank. But the articulation of those words, that is, the tendency they represent, introduces an active practice of rethinking and reinventing revolutionary politics—something that is foreclosed by today’s neoliberal “rationality” as a relic of those rebellious, naïve, and digressive past times. Now, all this manifestolike discourse that we have just presented is surely not all we are dealing with. It can function very well on paper, or in theory, but what about the real effects in a given context? Or, rather, what is the actual material practice of Prelom? Prelom operates in a specific context of artistic and cultural production, with all the contradictions, ambiguities, and shortcomings that accompany it. This context features foreign foundations, as well as local ministries and institutions of culture as providers of financial support for independent art and activist organizations, groups, and collectives, seen as indispensable local cultural operators for the creation of contemporary “culture” in this region. It includes dealing with guidelines and keywords of international foundations as well as their obligatory emphasis on “transregional collaboration”; while at the local level, it consists of more perilous juggling with “national programs for culture.” It is precisely this institution of culture that has palpable effects on the material practice of cultural production, and not only in the sense of concrete programming, but also with respect to the organizational structure and the internal material practice of the very actors of culture. Being a formal NGO, which is the judicial equivalent of a private firm, Prelom has to obey all the rules for conducting business. This means employing an accountant for dealing with taxes and other fiscal obligations, and to have, at least formally, a legally stipulated hierarchy. All this is quite at odds with the principles of collective work and the nonhierarchical structure that we had in mind from the very beginning. It also means getting involved in the business of fundraising, which in turn requires a substantial amount of administrative work and what is nowadays called “networking.” Also, the NGO economy—like the so-called new knowledge economy of media, fashion, and art in the creative industries—relies heavily on a US-style internship system to perform the necessary, but routine gofer roles that hold it all together. It is effectively a system of bourgeois apprenticeships, or, putting it bluntly, an elaborated and updated system of capitalist exploitation. Foundations and institutions of culture focus on supporting programs or exchanges (something that is actualized in some clear form of the immediate product, such as artwork, exhibition, symposium, or publication), but rarely or never assist with the costs of organizational maintenance. In this way, associations, collectives, or working groups are forced to overproduce in order to survive—that is, to have as many subsidized programs as they can get. This process of hyperproduction additionally increases administrative tasks, leaving progressively less and less space for the proper conceptualization of programs or for critical reflection on them. Therefore, what was intended at the outset to be a critical production is replaced with a kind of “aesthetics of administration,” to use Benjamin Buchloh’s term, which represents the predominant form of the neoliberal institutionalization of critique. How is it then possible to produce a critical stance within this context? Moreover, how is it possible to develop emancipatory strategies in the field of art and cultural production? Well, there is no simple answer to this. The contemporary institution of culture is a contested terrain, a kind of battlefield, and, to paraphrase Foucault, since there is no power without resistance(s), each position is an outcome of struggle. What we can do and what we are trying to do is to articulate those points of resistance with always precarious and undecidable interventions within the existing constellation.11 But criticism as the discursive form of an intervention in the public sphere can only be a starting point. Critique, a veritable materialist critique, in order to be efficient, i.e., to produce effects in the material reality of social exchange, must be practical; it must intervene within and strive to tackle the existing and ongoing social practices. This kind of criticism entails a self-criticism whereby one reflects upon his/her own role as well as the effects and the repercussions of one’s own actions. Therefore, our position is, strictly speaking, a “non-existing impossibility.”12 By evoking today’s “non-existing” Marxism and communism, we are invoking the possibility of a definite “impossibility”—a radical alternative to the prevailing material practices of social exchange. At least, this is almost a “natural” position for anyone opposing the omnipresent neoliberal anticommunist consensus of both the pro-European democratic forces of civil society and the likewise obligatory pro-European nation-building forces of the ex-Yugoslavian governments. Prelom (meaning break) is an attempt to break with this given constellation—in the last instance, with capitalism itself. It is a synonym, a makeshift word, for what appears quite impossible today: revolution. 1 This new geopolitical space encompasses the newly formed ex-Yugoslavian countries (with the exception of Slovenia), as well as Albania, as a European Union member-state, thus representing states aspiring to the European Union, which still need “cultivation” in order to achieve full membership. 2 In various pieces of research dedicated to issues of institutional critique that have been recently re-discussed in many conferences and panels, as well as in magazines like Artforum and Texte zur Kunst, the institutional field of art and culture has often been reduced to a network of art/cultural experts and specialized institutions for displaying, interpreting, and marketing art. Therefore, the term “institution of art” or “institution of culture” was related to an enclosed disciplinary field. Our usage of the term opposes the dichotomy between the autonomous institution of culture versus the rest of society as its imaginary outside. Instead, it indicates how culture functions in the processes of the institutionalization of neoliberal, democratic society in the post-Yugoslavian political space. 4 From this standpoint on cultural capital, it is worthwhile examining the recent interest in archiving and the related topics of free access, as well as issues of copyright. 5 The terms “funky business” and “karaoke capitalism” appear in the top ten books for young post-yuppies in the advertising business or the so-called creative industries. We find that the metaphor of karaoke vividly explains the contemporary mode of cultural production in core capitalism. 6 cf. Boris Buden, “The Pit of Babel, or: The Society that Mistook Culture for Politics,” 2006, and “Translation is Impossible. Let’s Do It!,” 2006, both available on eipcp.net; also, Boris Buden, Vavilonska jama: O (ne)prevodivosti kulture [Babel Pit: On (not) Translating Culture], ( Belgrade: Fabrika knjiga, 2007). 7 “The relation between literature disciplines and their object (literature properly speaking, the fine arts, history, logic, philosophy, ethics, religion) has as its dominant function not so much the knowledge of this object, but rather the definition and inculcation of rules, norms, and practices designed to establish ‘cultural’ relations between the ‘literate’ and these objects. Above all, to know how to handle these objects in order to consume them ‘properly.’ To know how to ‘read’—that is, ‘taste,’ ‘appreciate’—a classical text, to know how ‘to apply the lessons’ of history, to know how to apply the right method to think ‘well’ (logic), to know how to look to correct ideas (philosophy) in order to know where we stand in relation to the great questions of human existence, science, ethics, religion, etc. Through their particular relations, the arts or humanities thus impart a certain knowledge [savoir]: not a scientific knowledge […] but—in addition to the particular erudition needed for familiarity—a savoir-faire or, to be more accurate, a know-how-to-do to appreciate-judge, and enjoy-consume-utilize this object which is properly ‘culture’: a knowledge invested in a knowing how to do in order to […]. Basically, the arts were therefore the pedagogical site par excellence, or, in other words, a site for cultural training: learning to think properly, to judge properly, to enjoy properly, and to behave properly towards all the cultural objects involved in human existence. Their goal? The well-bred gentleman, the man of culture.” Louis Althusser, Philosophy and the Spontaneous Philosophy of the Scientists (London and New York: Verso, 1990). 8 The School for History and Theory of Images was a temporary, semi-formalized educational project that was active between 1999 and 2002. 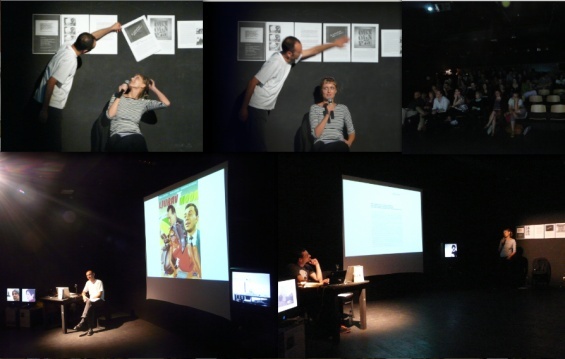 The school was organized in the form of lectures, case studies, workshops, discussions, and panels. 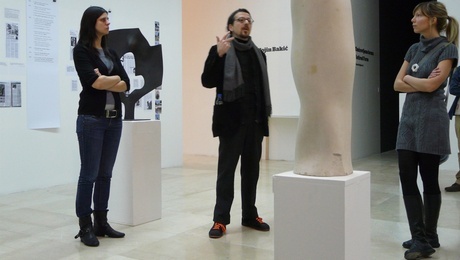 As a project of Center for Contemporary Art, Belgrade, the former Soros Centre for Contemporary Art, it was mostly oriented toward theories of visual arts as a multidisciplinary area in which artistic theories intersected with social and political theories, psychoanalysis, the theory of culture, film, architecture, etc. It had four main courses: Reading the Image, The Politics of Display, Pop-culture as Ideology, The Image as the Knot of the Symbolic, and The Real and the Imaginary. 9 Those alternative strategies—of separation and intervention—could be seen as a form of the inside/outside institution problematic present in most of the discussions on institutional critique. This analogy, however, cannot be applied completely in our case, since we hold that there is no space that is exempted from the institutions—in the sense of everyday material practices—and that the entire field is always-already “taken.” In short, since there is no pure externality to the material existence of ideology or power-relations, every oppositional position has to be taken or won over on the basis of this understanding. 11 By intervention we mean producing an effect that enables the present positions and divisions to become evident. To use a metaphor, intervention is like a signal-gun shot over the battlefield that lights the trenches in the darkness of the dominant ideology. Therefore, it is a production—making something appear that was not visible before the intervention. It enables some different divisions to be drawn, divisions that do not follow hegemonic binary or organized differences. They are new divisions that strive to change the very ground upon which the old ones are based. 12 cf. Louis Althusser, “Is It Simple to be a Marxist in Philosophy?” in Essays in Self-Criticism (London: NLB, 1976); and Machiavelli and Us (London and New York: Verso, 1999), especially on the theoretical dispositive, etc.